the myth – persistent, persuasive, and unrealistic. This week began with an opportunity to work with some incredible educators in West Haven, Connecticut as they designed complete lesson units using the rigorous curriculum design approach developed by Larry Ainsworth. His work on RCD began with the educators in this district and it was good to see how they have refined and utilized the steps in creating engaging units. Watching Larry working with the group was also insightful as the focus kept returning to those things that were in the control of the group and not on those over which control resided elsewhere. My conversations with teachers kept reaffirming that notion. They focussed their time and energy on the realities before them not the myths that occasionally bog us down. Close by the facility where the sessions were being held is Yale University where President Kennedy delivered the commencement address from which the quote above came. It resonated with me as I thought about the approach the teachers were taking despite some of the rumoured challenges (or myths) that were awaiting them as a result of the upcoming common core and changed associated with the new standards. The theme continued with a visit to Saint Patrick Regional Secondary after I returned to Vancouver. I had the distinct pleasure of meeting some incredible students and dropping in on a variety of classrooms. My bond with the fraternity of Science teachers compels me to share that the best snippet of instruction I saw was in the Physics class. Bias aside, it truly was an engaging and stimulating piece for the students and for the observers. As is often the case, the conversations with colleagues yielded the best insights. Talking with Principal John Bevacqua (@johnnybevacqua) and Vice-Principal Gab Donnici (@GABDONN) allowed us to dispel some of the myths that arise when people talk about faith based schools and the conditions found within their walls. The conversations were the same as any I have had in “regular” schools as we talked about students that struggle, students that excel, students that have profound special needs, and students that have incredibly unique talents. I was particularly impressed by the commitment to create meaningful relationships and a culture of caring. From my viewpoint that’s the biggest reason the school has a 100% graduation rate, not because of some mythological belief that their students are drawn only from the elite end of the spectrum. The visit reinforced for me many of the tenets my co-authors and I shared in our book PBI: 7 Keys to a Positive School Culture. As I sat in the cafeteria at lunch I saw numerous examples of positive interactions involving students and staff. The gentle nature of the student interactions with John and Gab also let me know one of the secrets to their success. 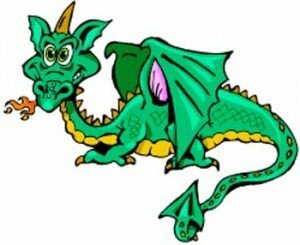 While I understand that some myths have enduring value and that not all myths have as their core a desire to misdirect, I also know that schools and educators face enough real challenges without having to slay mythological dragons as they move forward with their work in the service of students. We have enough challenges in education without having to deal with either mistruths or myths. One of the myths that progressive and forward thinking educators often hear is about how good it was in the good old days of education. My retort is “The past most often remembers better than it lived!” I’m beginning to believe that one of the critical roles in school improvement is to be simple mythbusters! Let’s move education forward based on data and research not myths and half truths! Thanks Chris. Love the quote and the call to arms. Let’s focus on what unites us rather than what divides us. We had Jamie Vollmer come in to speak to us about “the good old days of education.” I love his term to describe this myth…”nostegia” which is a combination of nostalgia and amnesia!!! Thanks Neil. That’s my new favourite word! I’ll have to credit you and Jamie going forward. Have a great day.